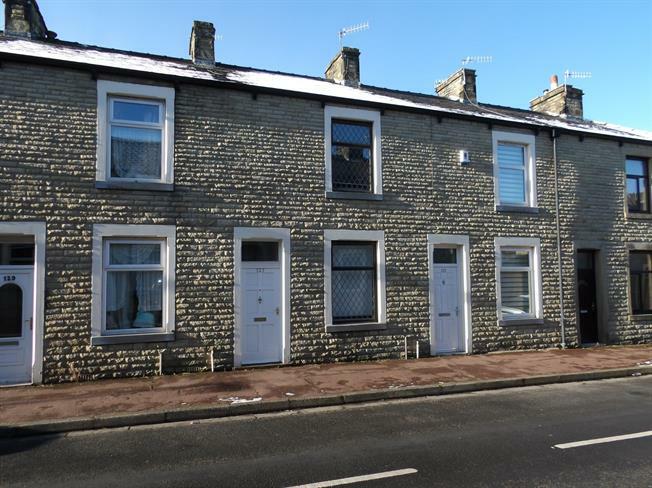 2 Bedroom Terraced House For Sale in Burnley for Asking Price £65,000. IDEAL INVESTMENT PROPERTY OR STARTER HOME! The property has been finished to a very high standard. In brief comprises of porch into hallway, two reception rooms, kitchen and sun room. To first floor, two bedrooms and bathroom. NO CHAIN! Hardwood front door, laminate flooring, door into hallway. Double glazed hardwood window, radiator, one ceiling light point, laminate flooring and electric fire with surround. Double glazed hardwood window, radiator, one ceiling light point, electric fire with surround and understairs storage. A range of wall and base units with matching work tops, stainless steel sink and drainer, integral electric oven, gas hob, extractor fan, space for dryer and washer, fridge-freezer and double glazed window to side. Hardwood single glazed window, and access into yard. Ceiling light point and loft access. Double glazed hardwood window, radiator and one ceiling light point. Heated towel rail, tiled flooring, low level wc, wash hand basin, bath with shower over.